Volunteering Illawarra (VI) offers subsidised training courses for staff, volunteers and management committee members of non-profit community organisations. Pop-up training delivered at least 5 times a year. Huge discounts apply and members will be notified one week before training commences. Training calendar – a list of annual training programs delivered face to face, typically within Wollongong City Council’s Administration Building. Customised training – discuss your training needs with one of our friendly staff. In most instances we will be able to deliver the training for you and if not, direct you to the most suitable training provider. In-house training for organisations with a number of staff and volunteers who require training. We will come to your organisation and deliver our training, which is typically the most cost effective form of training. 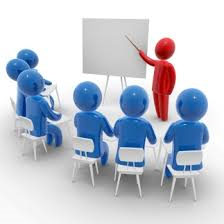 All attendees at training will be presented with a training certificate and course materials.